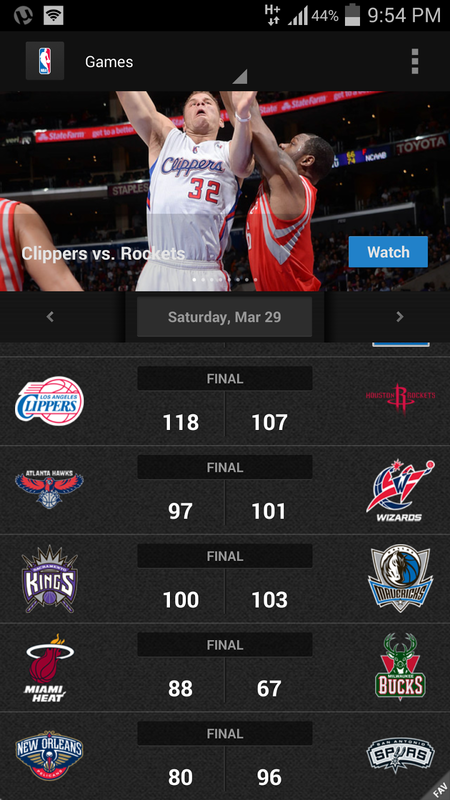 To all basketball lovers NBA releases its official mobile app NBA Game Time. It has a lot features for a lightweight app like game schedules, player stats, game results, photos, news, standings. In each live games there is a NBA Challenge where you will guess what will happen in each quarter and you can follow live tweets by NBA insider it also give live stats. Once you choose your favorite team you get push notifications whenever your team has a game, the game start and the game ended. Video highlights also can be watch when they become available.